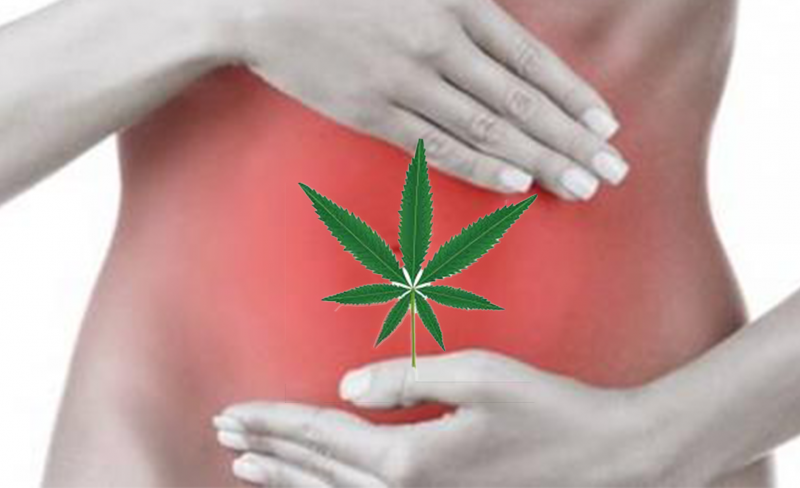 With recent surveys suggesting that new cases of Crohn’s disease are being more diagnosed more often, could medical cannabis offer a better and safer treatment than currently used, pharmaceutical medications? According to research from 2013, cannabinoids could hold the answer. Israeli scientists at Tel Aviv University conducted the worlds first placebo-controlled trial on cannabis and Crohn’s Disease, finding that 45% of Crohn’s patients they tested were able to enter remission using cannabinoid medication. Researchers examined 21 patients with drug-resistant Cronh’s over a 8 week period to see if smoking cannabis containing THC could help provide relief where pharmaceutical medicine failed. Half the group were provided cannabis cigarettes containing 115mg of THC, while the control group were provided with a placebo containing cannabis flowers from which the THC had been extracted. Complete remission was achieved by 5 of 11 subjects in the cannabis group (45%), and only 1 of 10 in the placebo group (10%). “Although the primary end point of the study (induction of remission) was not achieved, a short course (8 weeks) of THC-rich cannabis produced significant clinical, steroid-free benefits to 10 of 11 patients with active Crohn’s disease, compared with placebo, without side effects. While the researchers were not able to achieve full remission in all of their patients, they did find that THC can offer effective and safe treatment to Crohn’s sufferers who are unable to be treated with traditional medications. Those patients who were able to enter remission with THC were able to do so without side-effects, which can often be as debilitating as the illness itself. Crohn’s is becoming a more common disease in the UK, with around 115,000 patients diagnosed with the chronic illness. While some patients are able to find relief in pharmaceutical medications, studies like this one show that medical cannabis must be an option available for Crohn’s patients, especially those who have tried and failed to get results with traditional treatments.